The Cambridge Museum of Technology is a fascinating, hands-on look at how things work for all ages, within easy distance of the historic centre of Cambridge. Our review for parents explains what the museum has to offer for families. The Cambridge Museum of Technology preserves and shares the industrial history and heritage of Cambridge with its visitors. Dominique Dinse visited with Oliver, 11, and Ben, 10. Run by enthusiastic, smiley, oh-so-knowledgeable volunteers, the Cambridge Museum of Technology is a must-see. Located right on the river in a proud old pumping station that dates back to 1894, the museum now celebrates its earthy heritage and displays an array of industrial equipment that has helped propel our world into the space age. Everything is here, from giant steam machines to pistons aplenty and even old printing presses, with cranks to wind, buttons to press and the smell of engine oil in the air. And the best bit? It’s all hands-on. Obviously the volunteers are keen for kids to take care with their treasured pieces, but their joy at seeing a new generation learn how people used to get things done – and their great enthusiasm for all the exhibits in this handsome old Cambridge landmark – makes this a must-visit. 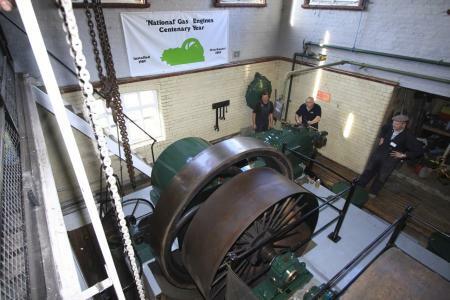 Inside the historic buildings, where there are lots of giant engines to marvel at, head for the dressing-up table where Victorian costumes await so you can get into the spirit and imagine you’re working in the old pumping station. Parents and teachers should also get their hands on one of the trails from the big colourful toolbox. 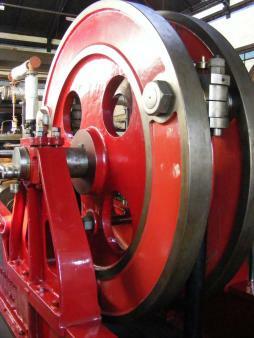 Suitable for all ages, the family trail contains a host of easy-peasy activities that lead you round the Main Engine Room, the Gas Engine Room, the Electric Room, Boiler House and Print Shop – everyone can join in as you hunt, say, for something red, or see who can find the biggest wheel. After exploring inside the big buildings, littlies will also love the hands-on action outside in the open air between the two main buildings. There are homemade pumps to work and water to spout for lots of splashing fun. Plus look out for the little steam-powered engine driven around the grounds – you might even snag a ride. For early learners the best way to see the sprawling exhibits is with the help of the Family Trail and Guide, a big, bright toolbox packed with plastic envelopes of activities for different ages. Grab one of the plastic envelopes containing a scavenger hunt for over-fives inspired by Sidney the Sewer Rat – junior engineers are encouraged to search for images of the museum’s cute mascot around the exhibits and tick them off the list, learning fascinating facts about everything along the way. The wealth of hands-on machinery will prove fascinating to older children. Our boys spent a good 45 minutes in the Electric Room getting to grips with a mechanical calculator dating back to the early 1900s – a huge, clattering computing tool that magically worked out any sum the boys plugged in, and with no need for batteries! A big Mad Men-style telephone switchboard mounted on the wall nearby – with jacks to put into points and a real working headset – held them similarly spellbound. Each installation is meticulously labelled with its date, where it came from, and how it was formerly used, a fascinating glimpse into a world before Playstations and X-Boxes. 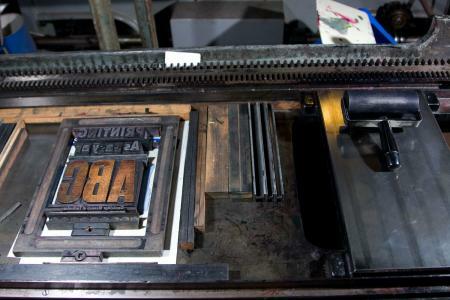 Older kids will also marvel at the hand-operated printing presses in the Print Shop. Here you can try your hand at reading type upside down and back to front – as old-time compositors used to have to do – and even print your own souvenir of your visit. By far the favourite attraction with our boys was an exhibition of acrobatic electricity by a visiting group of Tesla enthusiasts, just one of many visiting attractions the museum hosts through the year. Sparks flew as they generated indoor lightning and had a hair-raising experience getting hands-on with plasma balls. Even months later, the boys are still talking about the demonstration in which the boffins rigged up DIY Tesla coils to generate huge voltages for their wide-eyed audience, with spectacular sparks and crackling arcs. The museum opens opens properly every year from Easter but has special events in the holidays before that. 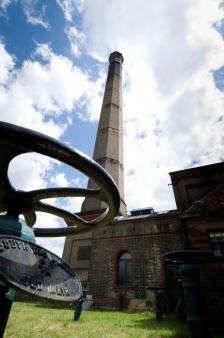 You can look forward to a new history tour of the Victorian pumping station (make sure you bring your smartphone to follow the “stinking history” treasure trail). Typical family-friendly activities include art activities, workshops where you can write your own jokes or poo rhymes and singing sessions where you can join in newly commissioned Horrible Histories-style songs about the pumping station. Twilight sessions let you explore the museum by torchlight. Bring your own torch, wrap up warm and wear sensible shoes as you experience the museum spaces with sound tours, projected films made by Cambridge artists and children from local schools and music performances. The museum’s ticket office in a modern little demountable building also sells tea and coffee plus chocolates, sweets and crisps. On a sunny day, there’s no nicer place to be than sitting by the river with a picnic and the giant Victorian tower as your backdrop. The historic nature of the site means there is no large café nor large-scale toilets or baby-changing facilities. However, the giant Sainsbury’s next door has all of these plus a roomy café so our top tip is to park in Cheddars Lane, take a quick loo stop in the superstore then enjoy the museum at your family’s leisure (or finish your day by stocking up on souvenirs in the museum shop then enjoy a relaxed, budget meal at Sainsbury’s if the weather’s not conducive to staying outdoors). Car or bike are by far the best way to reach this hidden gem. The museum is one mile from Cambridge city centre by road, or cyclist-friendly bike paths along the river. Look for the brown Heritage signs – when you spot that big landmark chimney you know you’ve found it! There’s plenty of parking on Cheddars Lane off Newmarket Road. The ticket office is on Riverside, off River Lane, up a short set of steep stairs beside the river. Anyone with any access issues – a buggy, say, or a wheelchair – will find the unpaved pathway from the back Cheddars Lane entrance a better way in. Admission is £3.50 adults; children (7 years and over) £1.50; concessions £2; family (2 adults and up to 3 children) £8.50. Cambridge Museum of Technology is open from Easter to October (but with some activities in the February half-term holiday) every Sunday, 2pm-5pm. For information about steam days and other special events, visit the museum’s events page. It’s worth noting that a 1923 boiler which was formerly used to raise steam to run the engines has run out of… er… steam. The team have been busy fundraising to carry out the necessary overhaul and have just landed a Heritage Lottery Fund grant to fund repairs, meaning the museum will be closed while construction work is in progress, from January to August 2017. Once the work is complete, the museum will be open at least five days a week – so watch this space! Like everything at this lovely old museum, the shop is a complete labour of love – run and stocked by volunteers and local well-wishers. On offer is everything from £1.99 logoed pens, £1.50 keyrings and fascinating booklets about the pumping station’s history for £3.50, to handmade lavender bags for 50p and knitted bees and mice, beautifully made with evident love by local knitters. Ben, 10, snapped up an exquisite handmade teddy – complete with engineer’s rucksack – for a ridiculous £1.50! (We slipped an extra fiver into the donations tin to compensate for the generous prices). Take a virtual tour of the museum online.